Who wouldn’t want to flop right down with some flapjacks? Well, now you can, without even getting sticky from all that maple syrup. 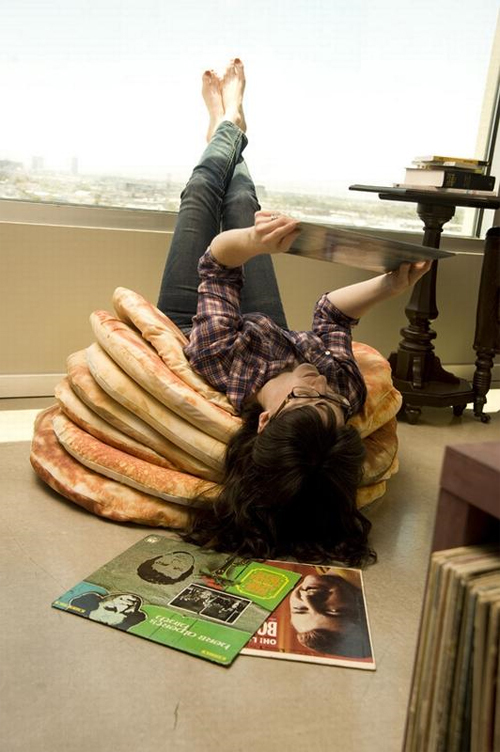 Just order up a batch of these Pancake Floor Pillows and you are on your way to making your house a true house of pancakes. also available are the pancake specials with super-cool side detail and 4″ foam. stack them in a corner when not used and throw them around to lounge in comfort. stacks of 2 or more receive a 10% discount (by hand); stacks of 3 or more receive a 10% discount and a butter pat! get ’em while they are hot! this stuff is going to sell like hotcakes! limited to stock available.